Very nice dress and it looks great on you, but I could never wear it. bellissima. il tocco giusto non esagerato! 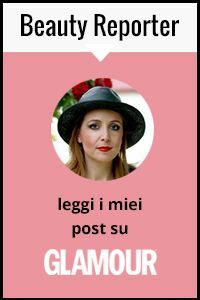 mi gusta molto anche la borsa rossa!passa da me se ti va c'è un nuovo post! Love your white and black dress with amazing fringes! rawr! that's a great dress. love the animal prints. a tiger dress too? really? i'd love to see that! oh sweetie, beautiful dress! im so envy! you look stunning and adorable! Ah, quindi questo è il famoso abito Blumarine che hai comprato durante i saldi. Con la borsa regalata dal marito. Beautiful dress, and i loved your bag. That dress is fabulous! LOVE the print!! stai benissimo! ma non vale a te sta bene qualsiasi cosa! well va va VOOM.....just look at your in that Zebra number...HOTT!! and I love the dark red accent from your handbag! I am in love with this dress! You look FABULOUS! vale i like the fringe detail. the dress fits you perfectly! You look terrific! I really love your shoes. I feel the same way too about outfit pictures, sometimes I wish my outfit photos were candid, but they never are, I don't like people staring at me either. Oh my goodness, that is absolutely gorgeous! You look amazing! totally love the fierce animal print! Wow what an amazing dress and you look absolutely stunning in it! I'm in love with your shoes too -- so chic and sophisticated. Perfect outfit my friend! Stupenda la stampa zebrata e le frange,ahimè non un must di questa estate,sono davvero il tocco in più! Love the head to toe zebra, and SO fun for V-day!! that dress looks amazing on you! I like the lil fringe at the hemline-its a pleasant surprise! Very nice blog - you have a great style. I would be glad if we could follow each other on bloglovin and gfc? Wonderful dress. I like the way it shines. I nominated you for the Versatile Blogger Award. I hope you like the nomination. questo abito è delizioso, ma confesso, non è molto semplice da indossare... Tu lo porti con grazia e raffinatezza! Your dress is very chic and I really like your bag and your stunning shoes. Gorgeous! You look so chic but still a little outlandish. In the best way :) Whoever took you out for Valentine's is a lucky man! Guapísima!! Me encanta tu vestido de Blumarine. Sooo jealous that you can afford all these great pieces! I'm only 15 so I can't work to get money... Very cute though!